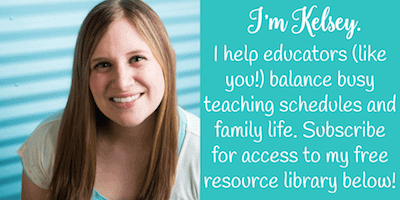 Inside: These free editable sub binder forms are perfect for elementary teachers! Taking a day off as a teacher is stressful when you wait to plan until the last minute! Not only do you have to worry about plans while you are away, but you may also worry about how the day will go while you’re gone. You want the day to run as smoothly as possible, right? This is why it’s a great idea to not only have emergency sub plans on hand, but also a substitute binder. An editable note to your substitute.I’ve typed in some ideas of what you can include in your letter. All you need to do is sign your name- but you can also customize it with your own info if you’d like, too! Bell Schedule. Every school has a different schedule. This will let your sub know the general flow of the day at your school. It will also let them know which bells are important, and which ones they can ignore! School & Staff Info. This is very helpful for the sub so they know who to talk to if they have any questions. With this form, you can let the sub know who some teachers are and their room numbers if they have any questions. You can also note the principal, secretary, nurse, and any other staff they would need to know. And lastly, the address and phone number of the school can also come in handy! Class Rules & Behavior Management If you want your day to run smoothly while you are away, let your sub know your general class rules and management procedures. The classroom will run as usual if the sub knows what they are supposed to do! How Did Your Day Go? 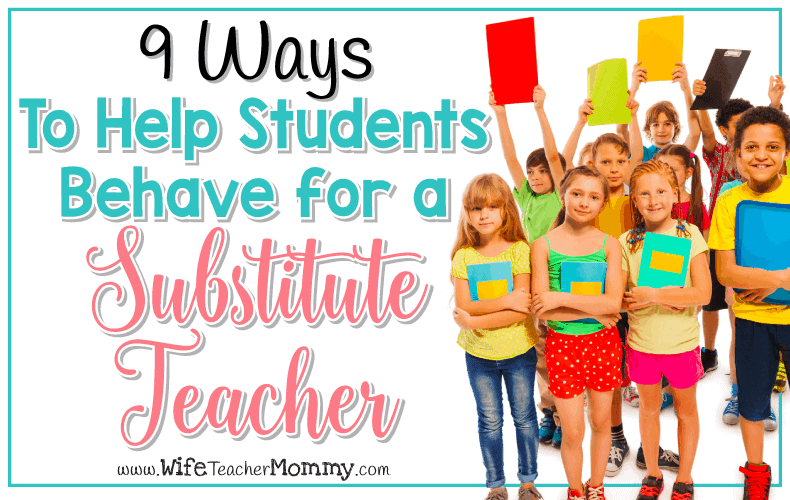 Substitute Notes Form Sometimes, substitutes are busy and may not leave detailed notes for you. If you leave a handy form for them, it makes it a lot easier and gives them a reminder! The sub can circle the emoji that represents how the day went, list students who did well and those who struggled, and any other notes about how the day went! 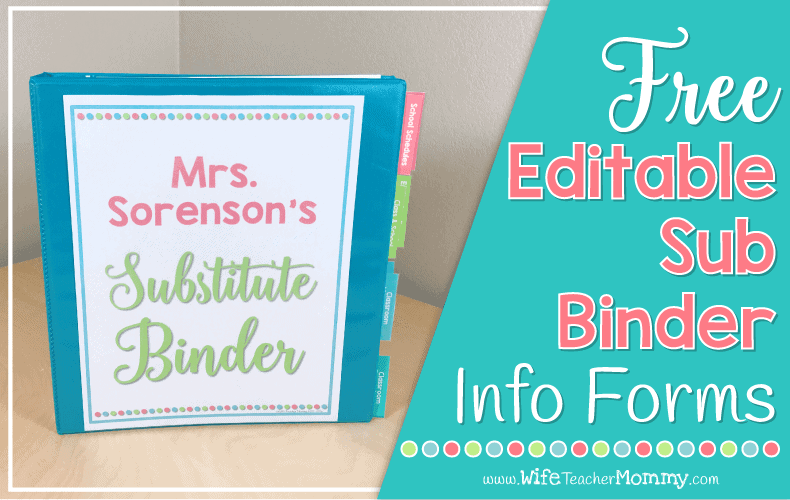 When you put this free substitute binder together, you’ll be off to a great start with your sub binder! 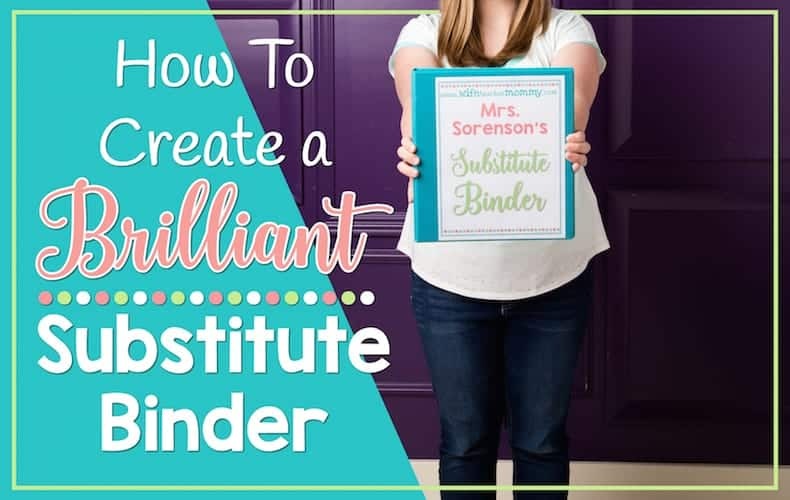 Your substitute will greatly appreciate you having a sub binder put together. When your sub has access to this information, the day will go by a LOT more smoothly. 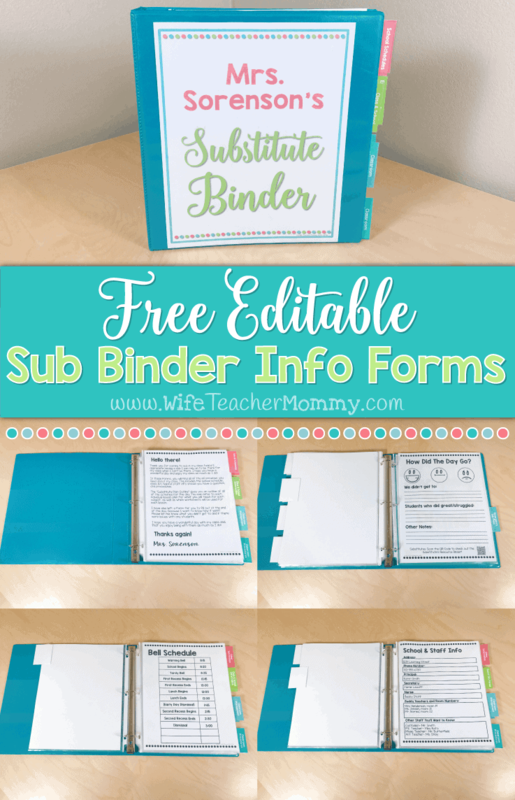 If you LOVE the free sub binder and would like expand upon it even more, check out my Editable Sub Binder and my Complete Short & Long Term Sub Binder Bundle.